M.A.C | Tap into the Fabulous you!!! Happy Monday!!! I want to say a BIG thank you to everyone who entered the M.A.C VIVA GLAM Giveaway for World AIDS DAY. Congrats, Lola! Send me an email at Pinkdiamondstl@gmail.com. Please include your mailing address and I will mail out your package with the M.A.C VIVA GLAM VI and VIVA GLAM CYNDI lipglass this week! For those who didn’t win, not to worry, I have another contest coming up in about three weeks. The M.A.C AIDS Fund is an amazing initiative. M.A.C donates 100% of the selling price of every M.A.C VIVA GLAM Lipstick and Lipglass to the M.A.C AIDS Funds. The funds are directly used to support Men, Women and Children whos lives are affected by AIDS. This is a perfect way to give back to the cause… plus you have an amazing lipcolor to remind you to continue to support the AIDS fund. December 1st is World AIDS Day. 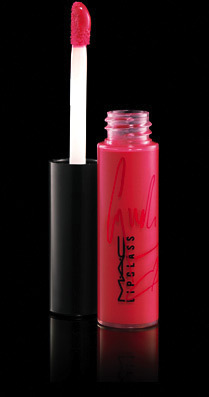 To mark this day, I will be giving away 2 of my favorite M.A.C VIVA GLAM Lipglasses. They are VIVA GLAM VI and VIVA GLAM CYNDI. Simply subscribe to this blog via the link at the bottom of the page and leave a comment below stating what your favorite M.A.C VIVA GLAM Lipstick or Lipglass is. Also tell someone about the M.A.C AIDS Fund. For an additional entry: Mention this giveaway on your blog or Twitter and leave a comment saying you have done so. Contest is open to U.S., U.K and Canadian residents. Deadline for entries for this giveaway is on Sunday, December 12th 2010 @ 11:59pm (EST). The winner will be announced on December 13th, 2010. I am excited and can’t wait to announce the lucky winner. 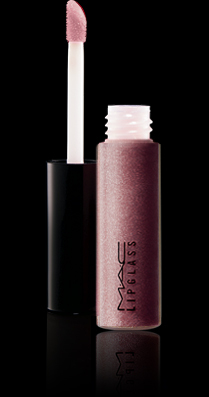 Please pick up your VIVA GLAM Lipstick or Lipglass at any M.A.C location. Disclaimer: Please note all gifts were purchased by own funds.